Summer is almost upon us and as we inch our way into June, that means we have a new season of Orange is the New Black waiting for us! 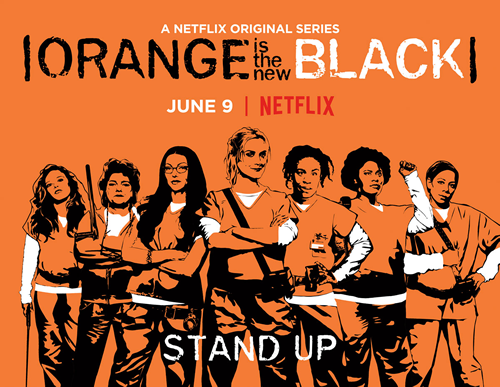 Season 5 of OITNB will start streaming on June 9, so mark your calendars! Also coming to Netflix streaming this month are recent family favorites Disney's Moana (6/20) and Trolls (6/7). My kids are looking forward to both of these. For me personally, I am excited to season season 5 of Arrow on here as it is one of my favorite shows to binge on. I can't wait to get caught up.